IQVIA is hiring! The company is currently recruiting top talent in Durham, North Carolina, and Overland Park, Kansas! Award winning and innovative, we will give you access to cutting-edge in-house technology, allowing you to work on global projects and across therapeutic areas. 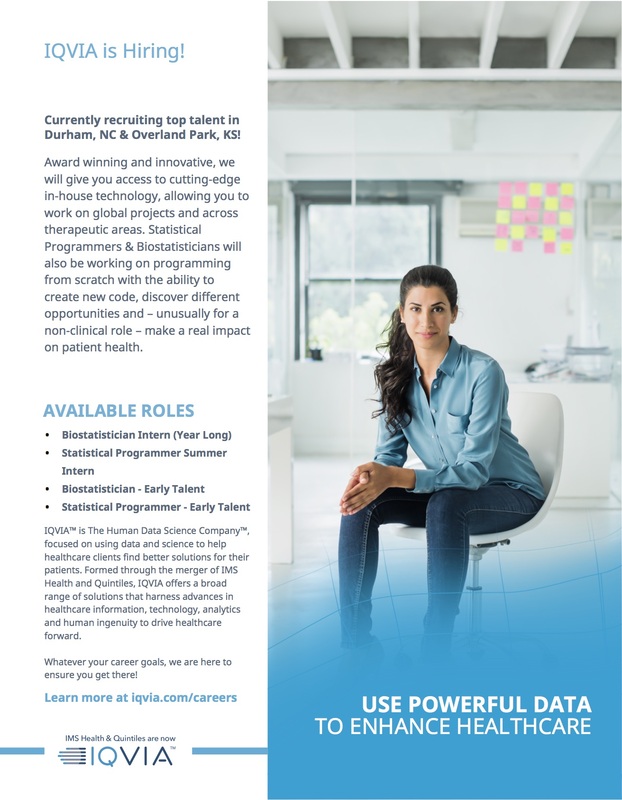 Statistical Programmers and Biostatisticians will also be working on programming from scratch with the ability to create new code, discover different opportunities and – unusually for a non-clinical role – make a real impact on patient health. Whatever your career goals, IQVIA will ensure you get there!